Elegance & simplicity describes Nicole & Liberty's wedding at the Noosa Marina. Even though it was blowing an absolute hooley on their day, I have a feeling even if it was thunder & lightning and raining frogs these guys just would've taken it all in their stride - such was their easy going nature. 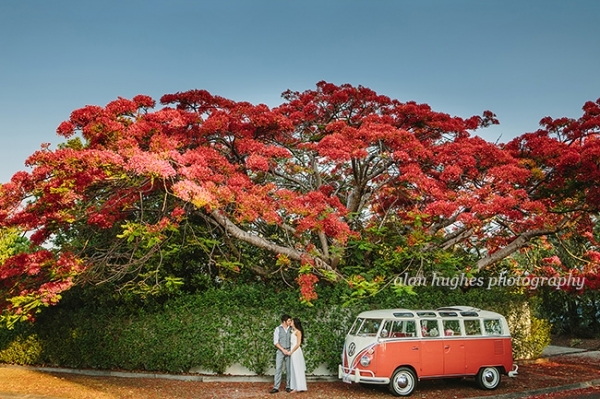 The flowers were by First Class Functions, celebrant was Tim Goessling, wedding reception was at the awesome Riverdeck Restaurant and transport by Deluxe Kombi Services.